I’m finally catching up on posting about my travels. I’ve had a crazy couple of months with work because of award season and fashion weeks! Sorry for the delay. I want to make sure I’m all caught up before leaving again for my next big trip! I visited Ireland during Christmas this past December. I flew from Edinburgh, Scotland to Belfast which is an easy 45 minute flight. I stayed at the Culloden Estate & Spa in Northern Ireland located in the Holywood Hills overlooking Belfast City and the Antrim coastline. Unfortunately the city of Belfast was shut down because of Christmas Eve but I did book a private Game of Thrones Tour which took us up the coast of Northern Ireland and showed us all the main areas where they film the show which was so incredibly awesome! We also made a stop at the Giant’s Causeway which is a World Heritage Site and a must see if you are in Northern Ireland. My favorite site I visited though was the Dark Hedges, which is the most photographed natural phenomena in Northern Ireland. The serpentine trees form a tunnel over a long winding road in the middle of the Irish country side. We went right before sunset so the golden light hit between the trees- it was breathtaking. 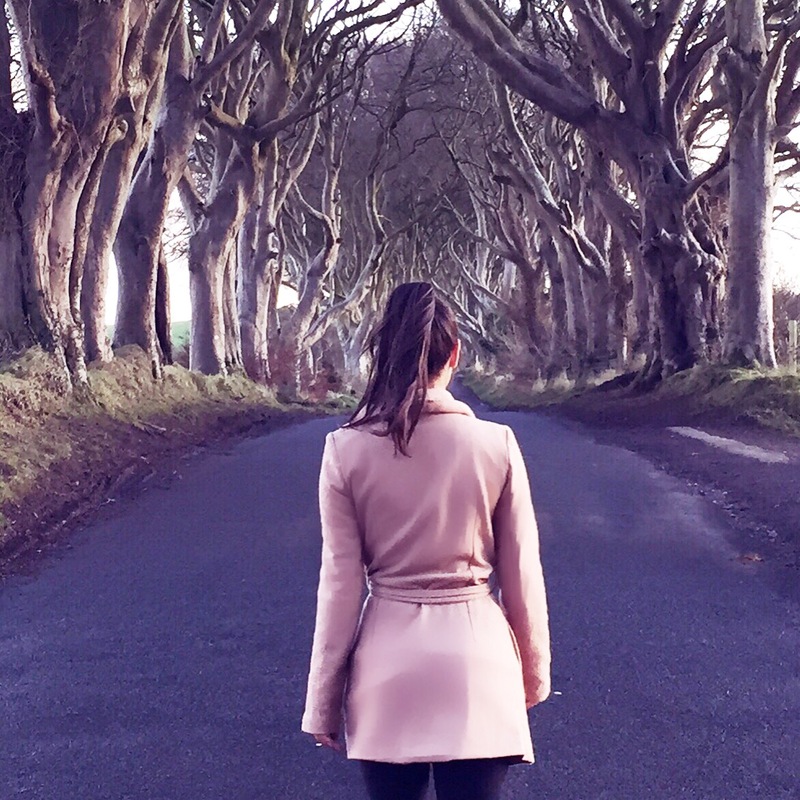 You will also recognize The Dark Hedges from a scene in Game of Thrones. It rains a lot in Ireland, that is why everything is so green. It had been raining days prior to our tour, but we lucked out because on that day it was sunny mixed in with scattered rain shatters. The color green is associated with the Irish, along with rainbows, clovers and pots of gold. We didn’t see any pots of gold but we did see lots of green and lots of rainbows. Northern Ireland is really stunning and definitely worth to visit. After spending two nights in Belfast, we drove from Belfast to Dublin on Christmas Day and stayed at the Westin, Dublin. The city was a ghost town on Christmas, everything was closed. There was something about walking the empty streets of Dublin that was really peaceful and beautiful. The city was gorgeously lit with Christmas lights and decor and we still got to take in the beautiful buildings and architecture with out all the crowds. We had a great dinner at the Westin and drank lots of Guinness (ha). We didn’t realize that Boxing Day, the day after Christmas was also a big holiday in the UK & Ireland, so everything was still closed in Dublin the day after Christmas. The only thing I regret not being able to do was visit the Guinness Factory. It’s something you have to do when you are in Dublin, but we left on Boxing Day to London so we weren’t able to experience it. (Next time). I will be back soon! I had a great experience in Ireland.